Our ever expanding range of products has grown again… New on our website this morning I am pleased to announce Intelligent Vending now stock Valera Swiss Nano 9000 Push Hairdryers! This nifty 2000W hair dryer would be a great addition to any hotel, gym or leisure center washroom. The neat spiral cable makes this handy hair dryer portable, yet the 6 speed and heat combinations along with 2 ultra narrow concentrator nozzles gives you and your customers the optimum choices of how to dry your hair! Despite the Nano’s size, no compromises have been made on the workings, nor the aesthetics of this piece of equipment! 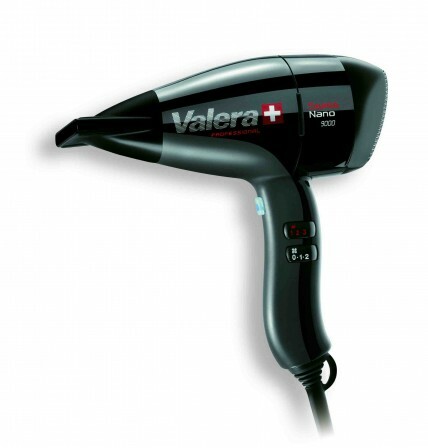 We are really impressed with Valera hairdryers and expect to see this model flying off our shelves! Students at MIT have designed a particularly innovative machine for the vending of bicycle helmets, to wok in conjunction with Boston’s “Hubway” bicycle sharing scheme. Research into the Hubway scheme showed that only around 30% of the users wore helmets, which obviously is not very safety conscious! Despite local retailers selling heavily discounted helmets, users did not seem to embrace them. Enter 12 undergraduates of MIT Mechanical Engineering 2.009 class…Students at the Institute are renowned for innovative design and successfully designed the prototype for the “HelmetHub.” This vending machine is half the size of a regular snack or drinks machine and features a touch screen in line with the design of the Hubway along with solar panels for power. The machine dispenses adjustable helmets for $8 which users can either keep and re-use or return for a partial refund, as helmets are then taken to be inspected and cleaned. Currently this is a prototype machine, but the students are in talks to build a Beta version which could be put to the test by the summer. Have you ever used a bike-share scheme, such as Hubway or the so called “Boris Bikes” in London? Of all the bike-shares, only Melbourne, Australia has a helmet vending machine but it is far bulkier than the tight space saving option offered by Hubway. If you use a bike share programme, would you be tempted by the shared helmet as well? Do you ride your own bike with a helmet? Let us know in the comments below! Well, today’s date is 03/01/2012. How did that happen?! 2011 has passed by in a blur and now here we are, at the start of a New Year with so much to look forward to. 2012 is full of promise and expectation and we are fully expecting to be rushed off our feet! We’re now back to normal office opening hours and are all glad to be back and ready to work hard to make this our most successful year yet. Expect for us to continue in much the same vein as before- amazing prices, fantastic customer service and innovative ideas on how to get your product vended! As ever, any questions, queries or ideas you would like us to help you work with, please do not hesitate to get in touch. We hope you’ve all had a very Happy New Year!